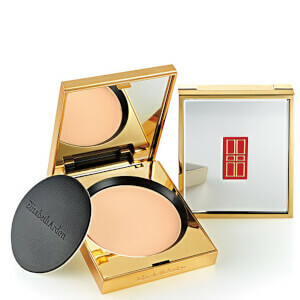 Say hello to wonderfully radiant skin with Elizabeth Arden Mineral Makeup 8.33g. Housed in a portable grinder, it releases a fresh layer of microlight mineral powder with each application, so you get just the amount you need. Virtually weightless, it blends effortlessly into the skin, whilst the buildable formula allows you to achieve both sheer and full coverage. Rich in vitamins and minerals, as well as sea water complex and SPF 20, it protects, smoothes and nourishes your skin. Suitable for all skin types, it's comfortable to wear and won't cake or settle into fine lines, leaving your skin looking bright and even. Use the sponge applicator to smooth the powder over your face. I ordered this make up because I could no longer find the previous PRO make up. I asked on live chat which colour I should chose and gave the previous colour number to the very helpful person online. She recommended colour number four which is far too dark for my fair skin! Also it is difficult tip out a small amount. There are so many holes in the lid that large amounts spill out at once. I am trying to take out small amounts to mix with what is left of the PRO make up!! Personally it does not suit my requirements although it is a good price. Received excellent online advice about the shade to order. Very pleased with the mineral makeup ray to apply, good coverage. Very good, elegant packaging.